Beth Brickell formed her own independent film company, Luminous Films Inc., to pursue a passion to make uplifting character-driven movies that speak to the lives of viewers. The company is currently developing two feature projects based on screenplays that she has written. Big Doc, an adaptation of a New York Times best-selling novel, won “ Best Feature Screenplay ” in a competition with over 5,000 submissions at the Moondance International Film Festival in Hollywood. Disappearance, an original screenplay, is based on an 18-article investigative series that she wrote for the Pulitzer Prize winning Arkansas Gazette. Beth put aside a successful acting career to accept a director fellowship at the American Film Institute from which she graduated with an MFA in 1 978. She has written, produced and directed a trilogy of award-winning movies for television, "A Rainy Day," "Summer’s End" and "Mr. Christmas." "A Rainy Day," starring Mariette Hartley, Tracey Gold and Collin Wilcox, premiered on PBS and won seven film festival and television awards, including First Place at the USA Film Festival in Dallas. Reviewers declared the movie “Remarkable” at the Los Angeles Times, “A rare gem” at the New York Daily News, “Powerful and moving” at the Hollywood Reporter, and “An exquisitely fulfilled moment in time” at the Christian Science Monitor. "Summer’s End," starring Bill Vint and Jennifer Miller, was made for PBS and subsequently was licensed by Showtime, A&E and Nickelodeon. The movie won a total of 16 first and second-place film festival and television awards, including “ First Place ” at the Los Angeles International Film Festival, Chicago International Film Festival, American Film & Video Festival (New York), Corporation for Public Broadcasting, and the National Assn. of Television Program Executives. "Mr. Christmas," starring Jace McLean, Jen Celene Little, Ireland Rose Maddox and Abigail Kinslow, was licensed by PBS and HBO. The holiday movie won “Best Family Film” at the Moondance Film Festival in Hollywood and an “Award of Excellence” from the Film Advisory Board in Los Angeles . Beth has directed episodes for the CBS series “Knots Landing," and written, produced and directed several short dramas that include "Little Boy Blue," starring Chynna Phillips and Robert Walden, and "To Tell the Truth." She developed a story idea for a CBS movie, "A Family Matter," and an idea for a four-part series for PBS, "Susan B.," about the 19th century women’s suffrage movement. Beginning her career as an actress, Beth studied in New York in the 1960s with Lee Strasberg and Sanford Meisner and became a lifetime member of the Actors Studio. While developing her craft, she acted in twenty-five stage productions in and out of the city. Moving to Hollywood at the request of her agents at the William Morris Agency, she was cast in her first TV role three weeks later on "The Girl from U.N.C.L.E." and her first guest starring role the following month on "The Man from U.N.C.L.E." Five months later a successful screen test landed her a starring role in the CBS series "Gentle Ben" with Dennis Weaver, Clint Howard and a 650-pound bear. The popular family series ran for two years, and then Beth went on to guest star in most of the TV series of the 1970s, receiving Emmy consideration for roles on "Bonanza" and "Hawaii 5-0." 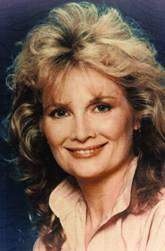 She starred in three television movies, including "Brock’s Last Case" opposite Richard Widmark, and starred or co-starred in three motion pictures, Posse with Kirk Douglas and Bruce Dern, Death Game with Sondra Locke and Seymour Cassell, and The Only Way Home with Bo Hopkins. Her civic activities have included Chair of the DGA Women’s Steering Committee, member of the DGA Special Projects Committee, Board of Directors for Women in Film, Emmy Awards Panel for the Academy of Television Arts & Sciences, Actors Studio-West Executive Steering Committee, Grant Committee for the Corporation for Public Broadcasting, Screening Committee for the Hot Springs Documentary Film Festival, and the James Bridges Scholarship Committee at the University of Central Arkansas. She has been honored with membership in the Arkansas Entertainers Hall of Fame and the Southwest Theatre & Film Association Hall of Fame in Denton, Texas . Beth resides in Sherman Oaks, California, a suburb of Los Angeles.